I had a chance to experiment in the kitchen over the weekend and came up with this fun little noodle dish. It’s loosely based on just about every other Asian noodle dish recipe I’ve tried, and for a quick recipe I think it came out rather well! Note: I only made one serving and extrapolated the larger recipe from that, so all the pictures are for single-serve. 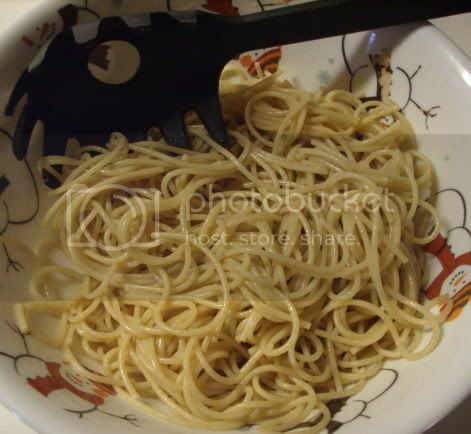 1) Cook the noodles according to package directions. Drain, rinse with cold water, and drain again. Toss with the sesame oil and set aside. 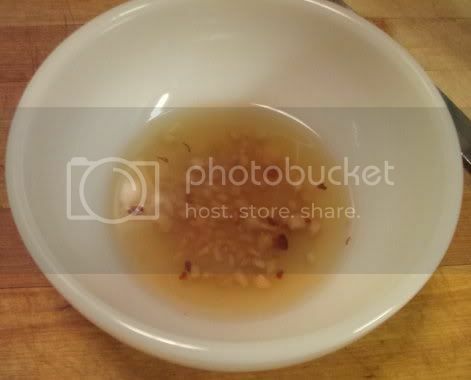 2) In a small bowl, mix together the soy sauce, rice vinegar, ginger, hot pepper flakes, and garlic. Set aside. 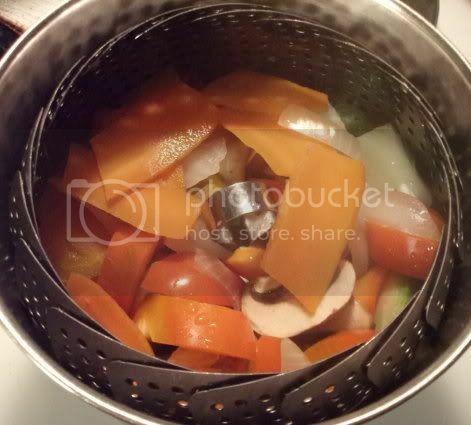 3) Steam the veggies until tender. How long depends on the type of veggies. Harder veggies like carrots can take up to 10 minutes. 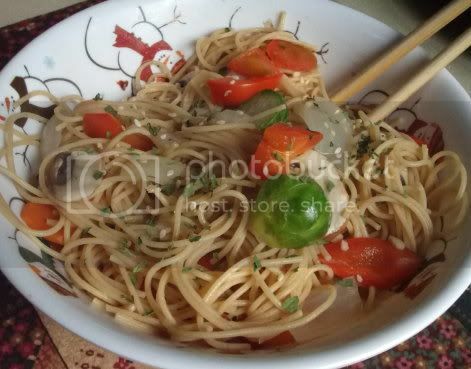 4) Once the veggies are done, add them to the noodles, pour the sauce over everything, and toss to combine. Garnish with cilantro and sesame seeds and serve immediately. You can also toss in some tofu cubes done up any way you like them. Stir-fried or baked would be especially good, but you could steam them in with the veggies, as well. Hey, I really like this recipe! My partner coincidentally made something similar for me last week with tofu and it was amazing!